This Borderline Personality Disorder Support Services in South Australia website was developed by the Private Mental Health Consumer Carer Network (Australia) Limited and funded through the Office of the Chief Psychiatrist’s South Australian Suicide Prevention Community Grants Scheme 2016 and Life Without Barriers. The National Health and Medical Research Council’s Clinical Practice Guidelines for the Management of Borderline Personality Disorder (BPD) describe BPD as a mental illness. People with BPD can find it hard to access treatment and care in South Australian public, private mental health services and community managed organisations. 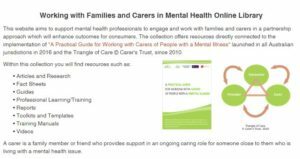 It is designed to provide a central point for information for consumers, carers, family members and health providers about Borderline Personality Disorder and the support services including referral requirements, available in South Australia. If you know of other relevant services available in South Australia, or find that any information provider here is no longer current, please contact us (below). In 2010, a Borderline Personality Disorder (BPD) Expert Reference Group (BPDERG) was established by the then Federal Minister for Mental Health and Ageing, The Hon. Mark Butler MP. The Chair of the Private Mental Health Consumer Carer Network (Australia) [Network], Ms Janne McMahon OAM, was a member of the BPDERG. During the course of 2011-12, the BPDERG began gathering information from the public and private sectors on policies and treatment options for people with BPD and their carers. As part of that work, the BPDERG asked its Carer Representative and Ms McMahon to gather information from consumers and carers via a survey to help inform the BPDERG’s discussions. 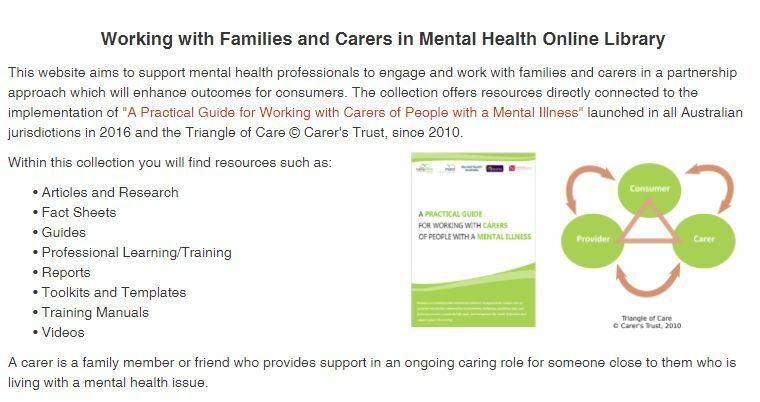 Surveys of both Consumers and Carers were subsequently conducted online in 2011 under the auspice of the Network. After the two surveys were completed, two Primary Reports and a Summary Report were provided to the BPDERG. Copies of all three Reports are available below. In 2017 a second round of surveys was undertaken by people with BPD and their carers. The results are included in the reports below including analysis of the differences since the first round of surveys were undertaken in 2011 – shown above. The outcome of the work of the BPDERG was the development by the National Health and Medical Research Council (NHMRC) of a Clincial Practice Guideline for the Management of BPD, which you can access from their website by clicking on the title below. If you know of other relevant services available in South Australia, or find that any information provided is no longer current, please contact us. Please note, we do not directly provide support services for people with Borderline Personality Disorder or their families, friends, or carers. We are only able to provide links to information from other providers to help you navigate what is available in South Australia.